There are a few works in progress around our little home today. 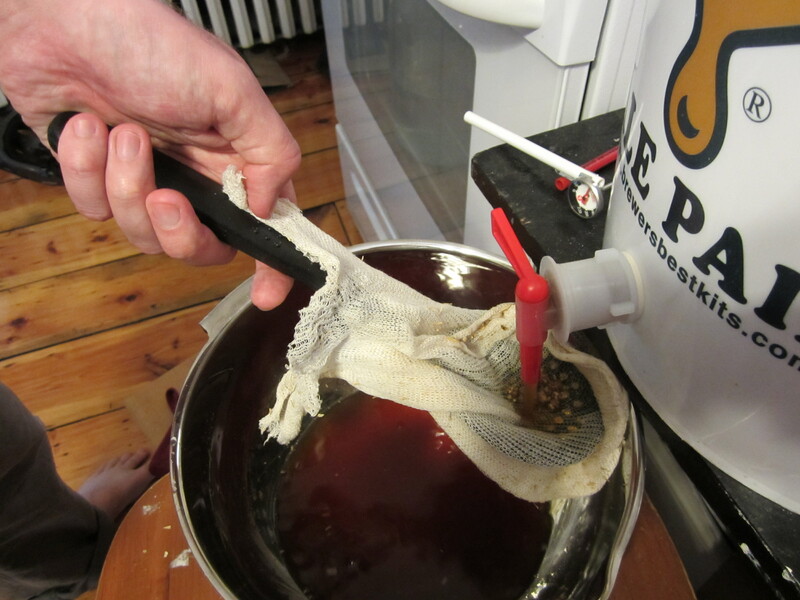 Christopher is busily brewing beer from the grains we’ve received in our most recent malt CSA (one batch fermenting away, the second on the stove). 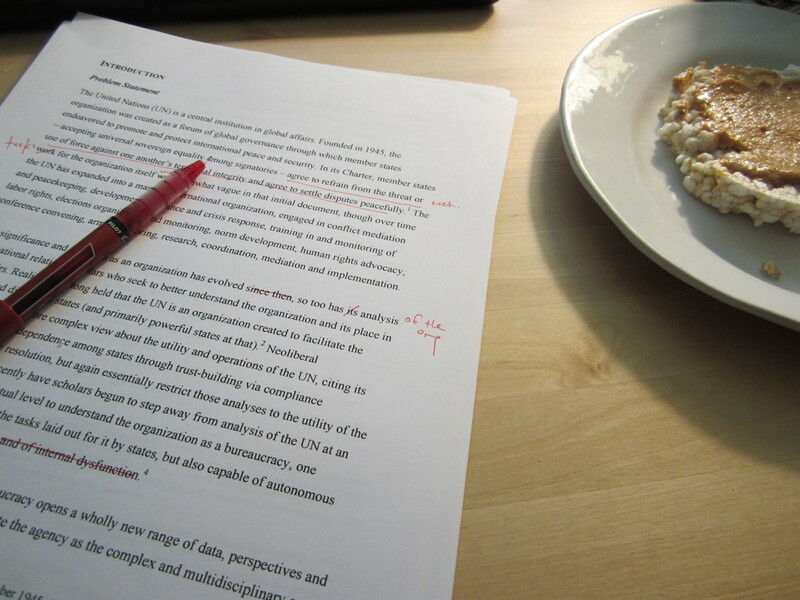 Liz is writing and rewriting her dissertation proposal with the hopes of a finished draft by the weekend’s end. 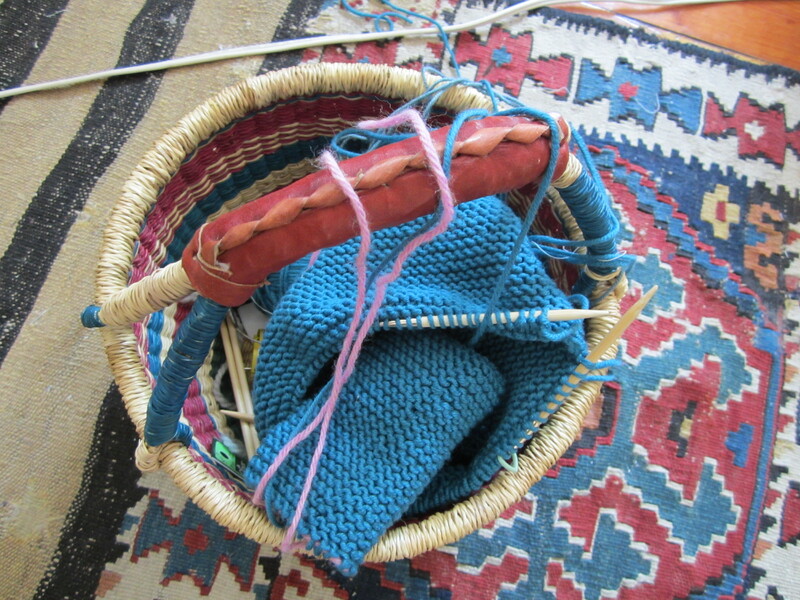 Knitting projects (ravelry links here and here) await stolen moments – a row here, a row there. 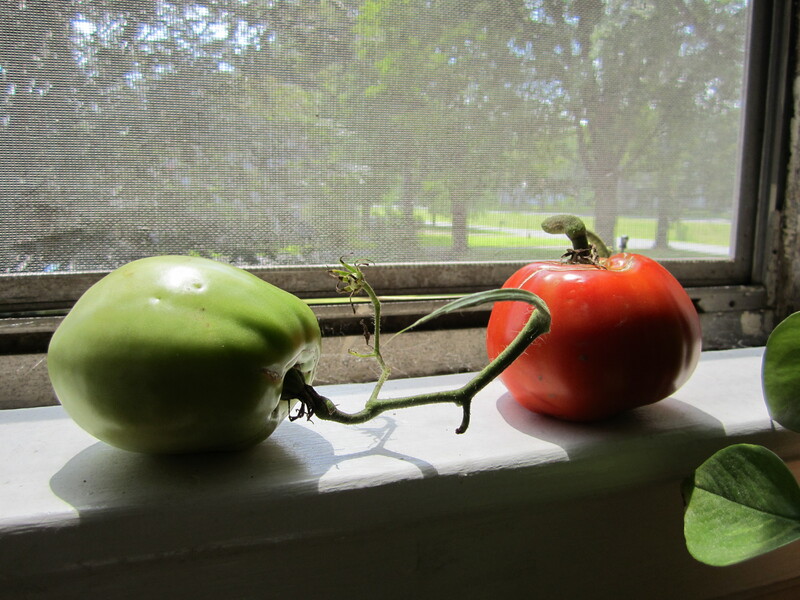 Even a pair of garden tomatoes are slowly ripening on the sill. One project gives creative energy to the next. Where one carries the promise of completion in mere hours (we can taste that red tomato already! 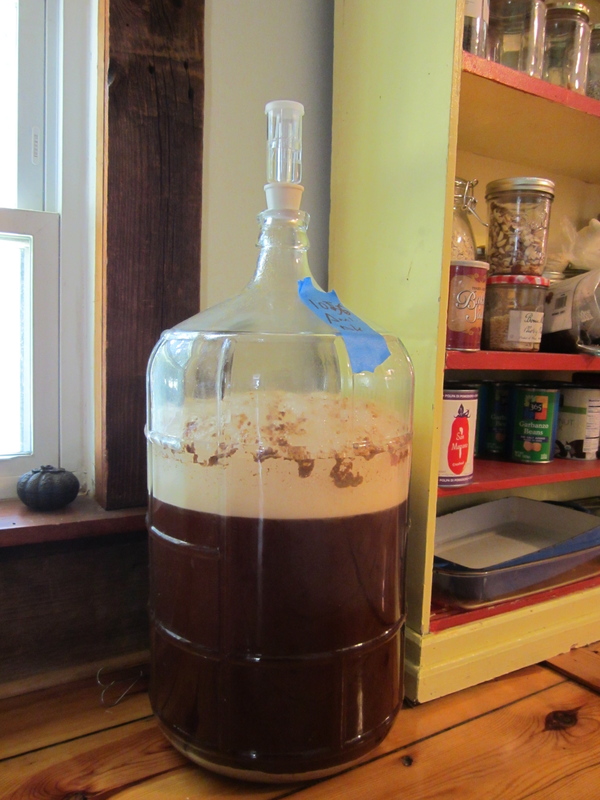 ), that little sweater will take days still, the beer we can’t drink and share until mid-August and that dissertation is a labor that will take years. Nonetheless, the satisfaction of small tasks moving forward is one that motivates and excites us daily. When we stop being a work in progress we stop living. Trying to figure out we need to succeed in any moment of our life is what makes it fun. Thanks, wmikeallan! You understand us perfectly.